This week there's been a lot of Brambly Hedge and Virgina Lee Burton (Mike Mulligan and His Steam Shovel, The Little House, etc.) We're also working out way through The Lion Storyteller Bedtime Book, a collection of folktales from around the world. Well, she's been doing a lot of binge reading of Beverly Cleary books (especially the Henry Huggins series), the Boxcar Children, and Lucy Fitch Perkins Twins series (this week was The Belgian Twins and The Spartan Twins). She has also read Baby Island, and just pulled out The Adventures of Dr Doolittle. She's actually made some really fun connections with some of these books too. It's fun when your child comes running to you while reading The Spartan Twins and says "Mom! Did you know that there are things from The Wonder Book in here? It's the Gorgon's head with the snaky locks and everything!" Or wondering at the dinner table if Dr Doolitte might go to the Sahara Desert while he's in Africa – in Timbuktu, no less – on the very same day that you happened to read the chapter from The Child's History of the World about the great medieval kingdoms of Ghana, Mali, and Songhai for school. Charlotte Mason tells us that education is the science of relations, and it is so very exciting to see that happening. We are buddy-reading Thorton Burgess' The Adventures of Danny Meadow Mouse. On his own he's reading a variety of Level 3 and Level 4 easy readers we got from our co-op library and the Billy and Blaze series. Okay, so this isn't the most literary choice, perhaps. J But my map-loving children are adoring the new Oxford Atlas of the World that I splurged and bought. It's huge. But it's finally satisfying our need for details that the more compact atlases we have just don't. I've always loved a good atlas. So does my hubby. And our kids are following suit. We just finished Because of Winn Dixie which was enjoyed by all. Our next choice is The Door in the Wall. I had to stop in the middle of the first chapter because it was a longish chapter and it was getting late and Michelle was rather peeved at me for not continuing. That's usually a pretty good sign…. Devotionally, we are enjoying Catherine Vos' A Child's Story Bible on weeknights. We read through this story Bible when Michelle was four (and the other two were just babies), but even I am getting much out of re-reading it. Catherine Vos is a really good storyteller. Our current Sunday reading is the devotional book Exploring Grace Together, which has been thought provoking for the two older children especially and Pilipinto's Happiness which was written by Elisabeth Elliot's daughter Valerie about her experiences going back to live among the Waorani (Auca) people who killed her father. We just finished an account of the martyrdom of Jim Elliot, Nate Saint, and the other missionaries in 1956 (The Fate of the Yellow Woodbee), so this is a fitting follow-up. In my morning devotional time I am working my way through the book of Matthew with a devotional commentary by JC Ryle and Kathleen Nielson's book Bible Study. In my afternoon "study time", I am rotating through How to Keep a Naturalist's Notebook, How to Read a Book, School Education (Charlotte Mason's third volume), and When Athens Met Jerusalem. I was previously trying to read through all of Ambleside Online Year 4 too, but it proved to be more than I could enjoyably keep up with so I scaled back to a few selections that were of the greatest interest to me. Right now that's Madam How and Lady Why, Kidnapped, Emily Dickinson's poetry, and Abigail Adams: Witness to a Revolution. I'm also reading Churchill's Birth of Britain which is the Year 7 history spine, but corresponds to the time period that I am studying with Michelle in Year 2 and fleshes out the details a bit more. 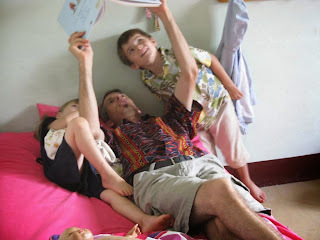 My study time tends to be the 45 minutes or so at the end of the afternoon when I stop to have a cup of coffee before I need to start supper – usually I sit out on the porch because the kids are playing outside. I will read a chapter (or section or two out of those books with longer subdivided chapters) out of two or three different books and just keep rotating through them, with a little more focused reading time on the weekends. It's slow going, but it's better than nothing, and truly is enriching and invigorating to be learning along with my kids. 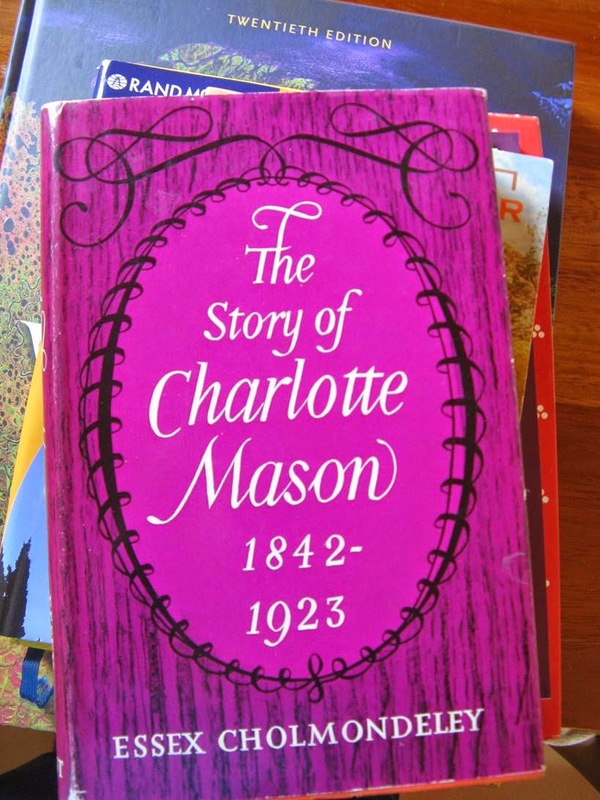 In the evening I am reading my long-awaited copy of The Story of Charlotte Mason (this is out of print and hard to find at a reasonable cost, but I was able to snag a copy thanks to a tip from one of the lovely forum ladies). I am enjoying it very much. I am also still slowly working my way through The Lord of the Rings alongside my husband, too. Been reading anything good at your house lately? I'm reading Birth of Britain right now too, along with some other books from Year 7. :) I'm also reading through CM's Volume 6 again and joining in on the discussion for it on the Forum. The read aloud for my youngest right now before bedtime is The Lion, The Witch, and The Wardrobe. She is loving it! In fact, she asked yesterday if she could read by herself the chapters that have already been read aloud. :) My oldest has her own book she's finishing up reading over summer break as well. I have to be careful with my dd peeking into our family read alouds too. I'm hoping to tackle the Narnia series with my kids next year too. My daughter has read a bunch of the Twins books, but I don't think she has read The Spartan Twins yet--since we just finished the Hawthorne books last term (and they were among her very favorites), I think I'll give her that one next. I still don't have a copy of The Story of Charlotte Mason--one of these days, I hope!